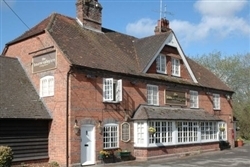 Bourne Valley Inn Andover Andover, Hotel England. Limited Time Offer! The BourneRead more Valley Inn Andover is a one star Family establishment has all the comforts such as : Bar.7 minutes by car distance from the center, this hotel is located at North Way, in the north-east section of Andover, which is ideal to discover the city.The Southampton airport is about 62 minutes by car from the hotel (19 miles ).This hotel offers a unique service : garden.